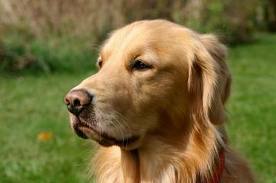 Hemangiosarcoma is a common form of cancer in dogs that preys on the blood vessels. The name comes from the Latin hemangio, meaning blood, and sarcoma, meaning malignant cancer of the supporting body structures. Don’t worry too much about the exact name they put on the dog’s disease, though. The information given here is helpful for all forms of this cancer. The “typical” canine hemangiosarcoma patient is generally an older, larger breed male dog. It can occur in any dog, but Retrievers, Shepherds, Boxers and Setters seem to be at greater risk. The outcome for dogs with this disease varies depending on its location. The visible tumors that appear on the skin are dark, perhaps reddish, raised, and have the most positive long-term outcomes, while the deeper internal tumors are harder to defeat. Many times the dog has not been showing any signs of illness. Often they are active, eating well and playing as usual. The first sign something is wrong may be a weakness that comes and goes, or in severe cases a collapse from heart failure or acute anemia due to internal bleeding. If the dog does show any early symptoms, they may include a decreased appetite, weight loss, weakness, pale gums, nose bleeds, vomiting, and possibly abdominal distention. Sometimes early in the growth of the cancer, the enlarged spleen can be felt and diagnosed before much bleeding has occurred or the internal bleeding may show up as swelling. The average life expectancy for a dog with advanced hemangiosarcoma may be only about 2 to 8 weeks from the time of diagnosis. If there was early detection, modern treatment, effective dietary intervention and immune modulation therapy can dramatically increase the odds of a favorable result. Hemangiosarcoma is first and foremost an immune dysfunction disease. When the body fails to recognize the aberrant cancer cells as invaders, they begin to randomly build their own blood vessel networks that can break and bleed. In order to overcome this cancer, the dog’s normal recognition response has to be triggered, to allow their own system to fight the disease. Surgery and chemotherapy are essential to get ahead of this cruel cancer, but the dog’s own immune response is really the only thing that can overcome the disease. That is why it is crucial to address their immune system as well as providing the treatments recommended by the vet. We all want predictions… how long will my dog last before the disease wins out? Before you put too much stock in the answer, keep in mind statistics are only useful in a general way, but the only thing that really counts is THIS patient. No matter how much training and schooling a doctor gets, they still are not very good at predicting the future. So don’t give up hope because the statistics don’t look too good. If your dog survives this disease, that is a 100% success rate! 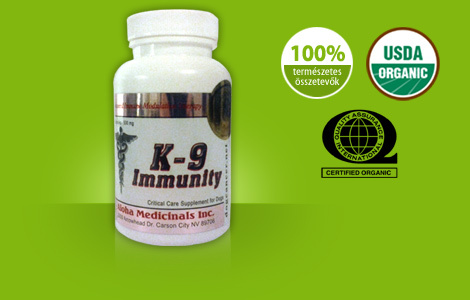 If the majority of the tumor can be removed and the liver is not affected, dogs with hemangiosarcoma respond well to a combination of surgery, chemotherapy and immune modulation therapy, such as K-9 Immunity™, and immune proteins, such as K9 Transfer Factor™, or some equivalent immune system support.